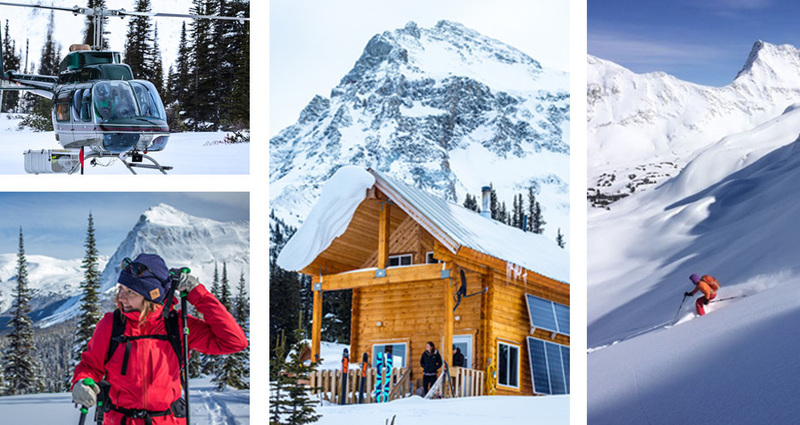 Set in 18,885 acres of Canada’s most iconic mountains, the Mallard Mountain Lodge is the most private and remote backcountry skiing and snowboard touring lodge in BC. With no road in or out, guests are collected by helicopter at Valemount, BC and flown 77kms deep into the BC Canadian Rockies near the border of Alberta and Jasper National Park. Once you’re here the helicopter leaves and it’s just you, the mountains and your skis or snowboard. If you can see it, you can ski it… and probably even name it, too. Yep, you heard that right. We have so much untouched terrain that you can ski or ride a first descent (or two) and with a max of 6 – 8 guests per trip, you never have to worry about someone poaching your line. Groups of 6 to 8 (depending on package) automatically have private use of the lodge and smaller parties can easily reserve the whole lodge for private use. At our Mallard Mountain backcountry lodge, you have access to 5 sprawling valleys making it the perfect snowboard touring or backcountry skiing experience for all abilities. Whether you’re a powder hunter, a first-timer, or seasoned backcountry explorer we’ve got you covered. From incredible tree skiing to high alpine lines, you can pick steep or gentle, long or short, fall-line or alpine meadows. 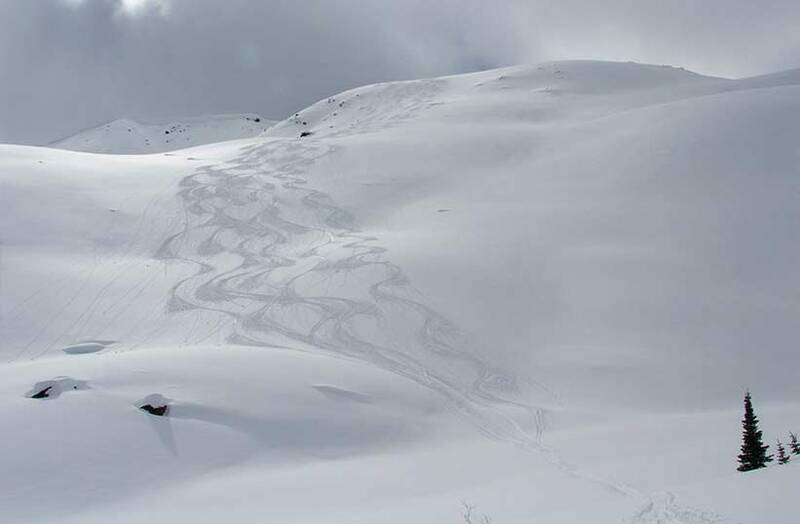 If you’re new to backcountry skiing or snowboarding and want to learn under the wing of a professional guide be sure to check out our AT-101 Course designed specifically for getting beginners out safely into the mountains. We love backcountry skiing and snowboarding in these mountains and nothing finishes off the day like returning to a roaring fire and a home-cooked meal. But who cooks is entirely up to you! We have both fully-catered or self-catered packages that you can team up with a fully-guided or self-guided option, or you can build a fully custom experience. We’ve designed the Mallard Mountain backcountry lodge experience to be flexible and customizable for all kinds of small groups. In addition to incredible backcountry ski & snowboard touring, there are many things to appreciate here in the winter. If you fancy a break from touring you can head out on snowshoes, capture some photography, sit and read a book up by the fire, or just take in the awe-inspiring views. Although weather & snow quality can never be guaranteed, one of the important reasons we chose this area was its snow. First, we are located northerly, which gives us cooler temperatures. Second, we are uniquely located at the convergence of warm & moist Pacific air moving easterly towards us & cold air masses that hover over the iconic Columbia Icefields glaciers array that is just to the south of us, and this convergence creates the snow we all desire. Given those unique characteristics, in prior years when other Lodge locations have been impacted by El Niño, we have had great skiing all season. In general, guests should be intermediate to strong skiers or snowboarders. Guests booking the entire lodge as a group can be of any ability. Snowboarders usually move around better and expend less energy if they use split boards (rather than snowshoes & one piece boards). CAC welcomes both systems. All snowboarders must carry collapsible poles in their packs to assist in crossing gentle terrain. All snowboarders must be sufficiently fit to handle the extra effort (as compared to skiing) that often accompanies backcountry snowboarding. Your winter equipment and clothing should be in good condition and suitable for powder snow in the backcountry and varied weather conditions. There is a huge variety of terrain from incredible tree skiing up to high alpine, steep to gentle, long to short, fall line to varied, and aspects in all directions. We ski and snowboard in an elevation range between 2,520 meters (8,391 ft) at the highest point and 1,640 meters (5,461 ft) at the lowest point – a total elevation range of 880 meters (2,930 ft). View Coordinates & Map. Click the links below for a slideshow selection of photos of the lodge, skiing and our terrain. New to backcountry ski touring? 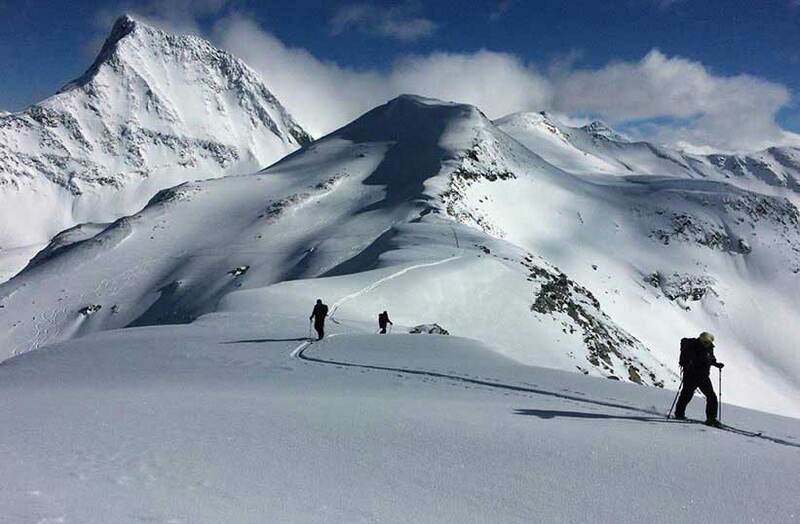 We offer two, 7-day courses each year that have been developed specifically to introduce new skiers to the backcountry, to provide them with first-hand knowledge and experience, and to begin their transition into backcountry skiing in a safe and fun environment. 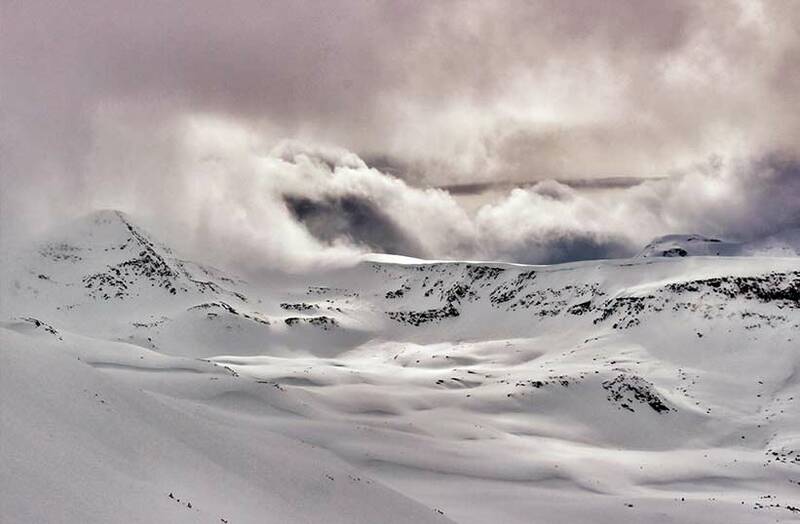 All from the comfort of one of the best backcountry ski lodges in BC. We can’t wait to show you our beautiful neck of the woods. We just need you to fill out a little bit of information to lock in your dates.